Peru is located on the central western coast of South America and is just below Ecuador and above Chile. Its territory is split into three natural regions running from north to south: the coast which is home to Lima (capital city) and most of Peru’s main cities, the highlands with breathtaking mountain landscapes, and the profuse Amazon jungle which possesses exotic flora and fauna. Lima: It is Peru’s capital and largest city. The Historical Center of Lima was declared a UNESCO World Heritage Site in 1988 because of the large number of historical buildings dating back to the Spanish colonial era. Lima, as any other metropolis in the world, offers the tourist great attractions and the comfort a traveler seeks. The suburb of Miraflores offers first-class hotels and restaurants, as well as coffee shops and bars. 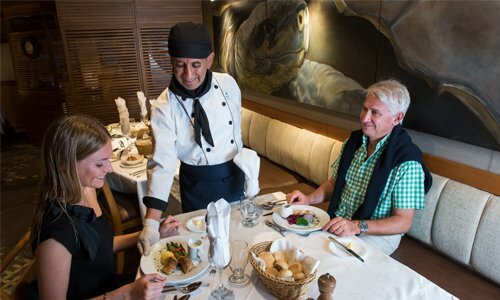 The city of Lima is rapidly becoming world-famous for its cuisine. Arequipa: this city is known as “la ciudad blanca” (white city) because the colonial-era Spanish buildings were built of sillar, a white volcanic stone. Arequipa is the second largest city in Peru and is the favorite city for those who love the outdoors. The Colca Canyon, a haven for condors, is also located in this city, and has more than 100 km of length. It is considered the deepest canyon of the world. Trujillo: This city is important because it is where the Moche and Chimu civilizations evolved. It has a stunning collection of pre-Columbian sites on city’s outskirts. Chiclayo: The city’s main attraction is its proximity to the archaeological sites of Sipán and Túcume, two of the most important places where there are ruins and vestiges of the Moche and Lambayeque cultures. Machu-Picchu: Machu Picchu is 400 meters above the village of Aguas Calientes where the train from Cuzco arrives. “The Lost City” of the Incas can be reached by hikers along the world-famous Inca Trail or via railway journey from Cuzco. Machu-Picchu is a UNESCO World Heritage Site since 1983, and it is now include on the list of New Seven Wonders of the World. The site is probably the most familiar symbol of the Inca Empire, due to its unique location, its geological features, and its late discovery in 1911. Cuzco: Cuzco means “the navel of the world” in Quechua, because it was the political and religious capital of the Inca Empire. There still are remains of the palace of the Incas, the Temple of the Sun and the Temple of the Virgins of the Sun. Lake Titicaca: It’s the largest lake in the world located over 3,800 meters above sea level, and the largest lake in South America. It covers an area of 8,000 square km and is 170 km long and 65 km wide. Lake Titicaca is a mystical and sacred place. Ica: It’s a city surrounded by sand dunes, a typical colonial town is well-known for its wineries, which produce a wide range of wines and pisco liquor. Nasca: It’s a small desert town famous for the massive and mysterious earth art drawn in the desert. The famous Nasca “lines” are so large that they can be seen only from the air. In the city you will be able to find many ceramic artisans whose style remembers to their ancestors. It was declared “Archaeological World Heritage Site” by UNESCO in 1994. Paracas: the Paracas National Reserve is Peru’s only maritime protected area. Boats set out from the port to tour the Ballestas Islands, giving visitors a chance to gaze at the sea lion colonies. Puerto Maldonado: It’s the starting point for jungle tours. The climate is hot and humid at all times. The rainy or winter season runs from December to March, and the summer or dry season from April to November.